Colin Kaepernick #7 of the San Francisco 49ers walks in to the stadium prior to their NFL game against the Tampa Bay Buccaneers at Levi's Stadium on October 23, 2016 in Santa Clara, California. 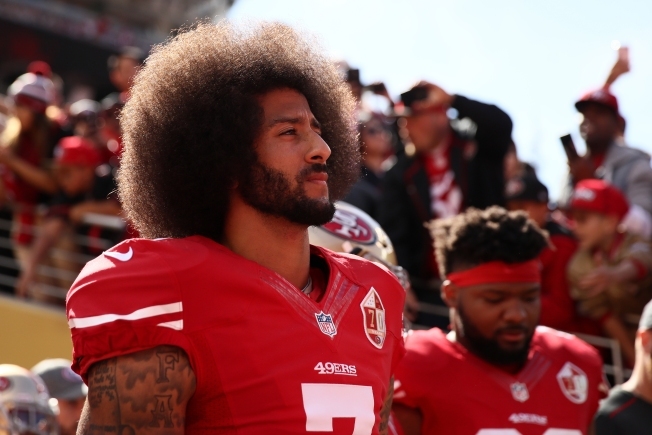 On Friday, Kaepernick posted an announcement on his Instagram page that he has started the “Million Dollar Pledge. In a tweet, Silicon Valley De-Bug, a media and community organizing effort which strives to end police brutality, tweeted, "This is what integrity looks like."